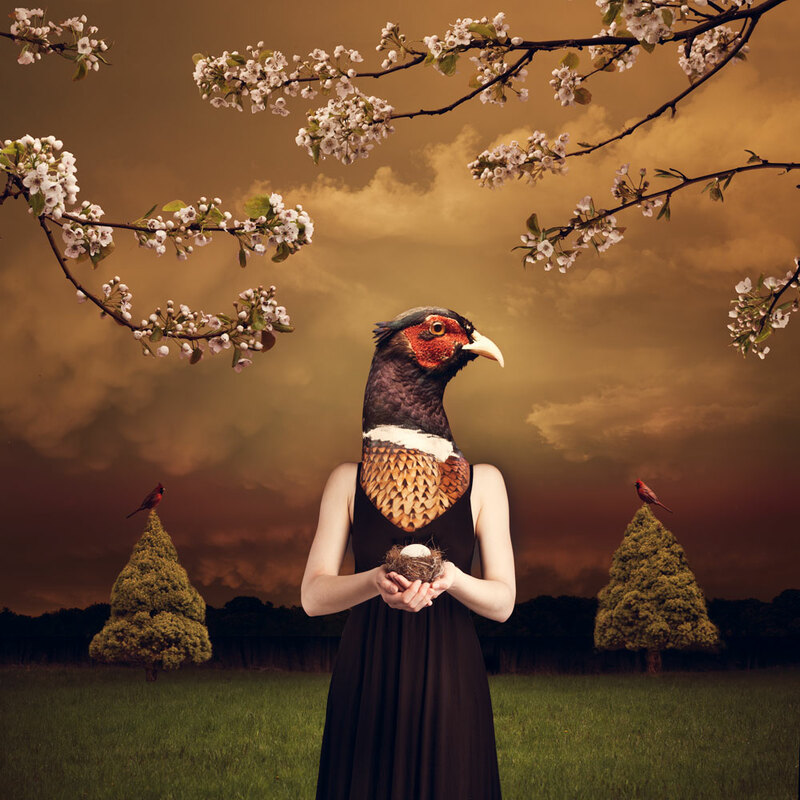 A photo illustration called “A Bird in the Hand”. This proverb refers back to medieval falconry where a bird in the hand (the falcon) was a valuable asset and certainly worth more than two in the bush (the prey). Other languages and cultures have their own version of this proverb, notably the Czech ‘Lepsi vrabec v hrsti nez holub na strese’ (A sparrow in the fist is better than a pigeon on the roof.). This was a really fun assignment that forced me to drive around my hometown and photograph fields, trees, goats, sheep and flowers. The pheasant head and the cardinals are from the Yale Peabody Museum. The egg is from the local BigY.